The Paper examines legal and financial tools which are used in Poland to succor the development of energy from renewable resources. In the first part a definition of sustainable development is given and the short history of this idea is shown. Then the concept of Sustainable energy is introduced. The second part describes main policies of European Union on sustainable policy and the Polish Legal System on Renewable Energy is described. The fifth part of the paper analyzes the sustainable development indicators provided by Eurostat for the energy produced from renewable resources. there are 6 indicators analyzed. In the end the forecasts for the development of RES in Poland is given. There are clues for development of different technologies in different provinces of Poland. There are also forecasts for the development of the renewable energy market in Poland. Reflections on the human impact on the environment have their origins back in the mid of 20th century. The greatest importance for conceptualization of sustainable development had the first scientific publications on the impact of synthetic chemicals on the human health, reports on the environmental limits of economic growth, as well as the papers on relations of the human population size and the state of the environment. The main works which highlighted environmental problems were: Silent Spring by Rachel Carson published in 1962, Tragedy of the Commons by Garret Hardin published in 1968, Limits to Growth by Club of Rome published in 1972 and Deep Ecology by Arne Naess published in 1973 in Inquiry Magazine (Charkiewicz & van Benmekom, 2001). Concerns that have arisen as a result of these publications convinced the United Nations (UN) to organize meetings, which aimed to recognize humanity’s connection with environment. In 1972, UN held the Conference on the Human Environment, which focused on human – environmental interconnections. As a result of the Conference, the Declaration of the United Nations Conference on the Human Environment was created. It became the first document in international environmental law, which delineated the human right to a healthy environment (Kozłowski, 2000, pp. 105–106). UN continued their work on effects of human actions on environment. In 1980, together with the International Union for the Conservation of Natural Resources (IUCN), UN published the World Conservation Strategy (WCS). 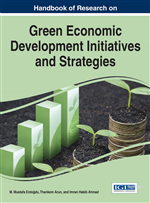 This document, as a result of previously taken actions, proved that there is an interdependence between environmental conservation and economical development. WCS built the basis for the idea of sustainable development by highlighting that development depends on Earth protection.